I wish I remember how I came to buy An Instance of the Fingerpost- I have a vague suspicion it might have been an Amazon recommendation, but I am not entirely sure. At any rate: I bought it. I read it soon after buying it. I found it incredibly rewarding and enjoyable to read - one of the best books I've read, even though much of it went over my head. 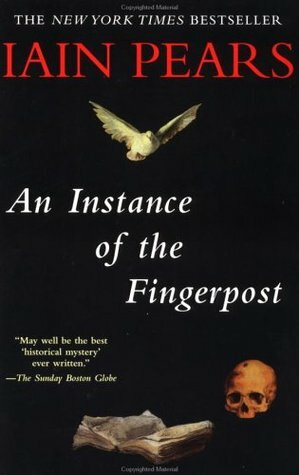 An Instance of the Fingerpost is a historical novel. Many - indeed, most - of the characters are historical figures. Some of the key characters are fictitious, or heavily fictionalised versions of real people. And the events in the book are using history as a springboard rather than a millstone - much of the plot at the heart of the novel is entirely imaginative, rather than factual. Each of the narrators is unreliable. Each, of course, thinks he has the monopoly on truth, righteousness and rightness. And each fills in the gaps of things he does not know with assumptions, guesses and suspicions. The second and third narratives are positively dripping with paranoia an venom. The first is comparatively more jolly, and the final one more keen on facts and less keen on interpolation. That said, the final narrative is by far the most... fantastical, shall we say? The writing is masterful, in my opinion. The tone is perfectly plausible and authentic enough to give the story atmosphere, without being slavish to 16th century language. There is significant wit and a very dry, dark sense of humour in the telling of this tale, made all the more delightful because none of the characters are being intentionally funny - they merely have conversations and make observations which a 21st century reader would be very very amused by, while being perfectly earnest. Punchlines are never delivered at the end of a sentence or paragraph, but in the middle of the flow of the dialogue or narrative, and so the overall effect is much more witty, in my opinion. Even though I did not always understand every nuance, I believe I understood most of the plot. The number of characters was so staggering I often lost track of which named person was suspected of which deed in which conspiracy, but I think that did not detract too much from the tale, for the paranoid bits are a bit frantic in their suspicions anyway. 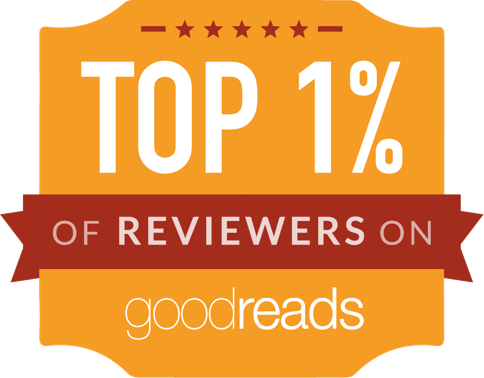 The real heavy lifting, in terms of reader engagement, are done by the first and the final narrative, and I will admit, the first left me with a night of very poor sleep as its conclusion was quite harrowing. The final narrative and the way the story is pulled together is ... definitely elegant, and pleasant to read, but also quite difficult to reconcile with this particular reader's willingness to suspend disbelief. I guess I can just assume that our final narrator, too, is unreliable - as unreliable as all the others, and merely presented as the most convincing because his is the final account, and because he is able to address things mentioned in the other three narratives and put the final word to it. I would certainly count this as a masterfully written novel, and a masterfully executed concept / idea, and one of the best novels I have read. I found it very rewarding, even if not all aspects appealed to my own sensibilities. There seems a lot wrong with this book for it to get five out of five, best book ever read kind of rating. But then, I think we've had this conversation before. Indeed, it's a discussion we've had before. I do think a book can be great - even among the greatest - while still being flawed. It all depends on the impact it has on the reader. This one had spectacular first and last quarters, with a middle section that was a bit sub-par and boring in comparison. It still had a massive impact when I read it, so I think it's a Very Good Book.